There are certain crops you could decide to farm in and around your neighborhood whether for the market or for personal consumption. Cabbage is one of them. Cabbage is a leafy vegetable that is very rich in nutrients and its require little space and less stress of cultivation compare with fruit vegetables like tomato, cucumber, pepper etc. 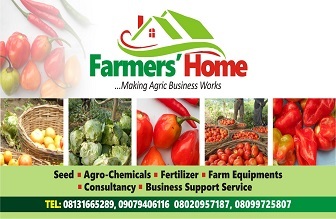 For a newbie to farming business or a farmer who haven’t farm cabbage before, this article is for you and also for women interested in farming, you certainly have yourself a deal. You are about to learn some practical steps require to be a successful cabbage farmers with the market angle requires to turn it into a profitable venture. 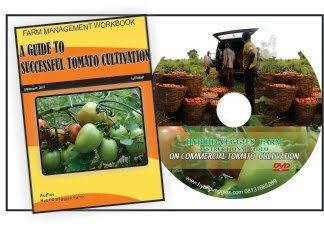 All you need to do is to learn the basics of production and understanding how to source for markets around your neighborhood; welcome to the world of regularly income earners from small scale vegetables cultivation. Found here the outline market-inherit features that make their production very attractive. They have enormous market year round as people consume them as salad particularly children every day aside the weekends of festivity which couldn’t do without it. Step 1: Locate a site with sandy loamy soil that is well drained. Prepare the land by ploughing then harrowing to loosen the soil structure. Well, since you are expected to be within city for small scale production, just get labourers to clear the land of trees, shrub and weeds after which they would turn it with hoes in the process of making flat beds. (Note: this is necessary during wet season to ensure adequate water run off). After flat parallel beds are made, incorporate old (cured) manure or compost on the beds manually. The spacing between one bed and another could be around 1 meter for easy accessibility and working of the farm. Step 2: Get a certified seeds from a reputable seeds company. Make sure the expiring date is still considerably far away. Cabbage requires nursery preparation. Read our article(s) on nursery establishment to understand the simple procedures of nursery establishment. For a small land size of 35m x 10m, you wouldn’t need more than 5g of seeds which would give you average 2500 seeds. Transplanting of cabbage is done after 4 -5 weeks of planting in nursery 5-leaf stage late afternoon. Remember to transplant unto beds previously prepared as explained above. The transplanting distance for cabbage depends on the variety grown. Varieties which have larger heads require wider spacing. For most varieties a planting distance of 45 to 60cm between rows and 45 to 60cm within rows will be adequate. Step 3: Chemical protocol should be handy before cultivation with all the necessary agrochemicals and spraying tanks (Refer to our article on fertilizer and chemical protocol for vegetables). It is also advisable to interchange contact insecticide with systemic mode of action type particularly at vegetative stage. However, you could do away with the use of insecticide by using locally constructed net house as seen in this picture or by the use of neem tree extract. Fungicide should also be applied every three weeks as a preventive measure particularly during the wet season. Please, use only approved insecticide/fungicide for your country and observe strictly the pre-harvest interval as cabbage is consume raw by consumers’ and it poses a great health risk if this isn’t followed strictly. The activity of nematodes is also of notable concern, optionally, you can lime the soil to reduce the acidity of the soil and eliminate habitable environment for nematodes. Step 4: Apply NPK preferably 15:15:15 as basal application during transplanting (8g/plant) and for every subsequent 2-3 weeks apply only ammonium based fertilizer like Urea (5g/plant) till 2 weeks before harvesting. In addition to soil fertilizer application, it is also advisable you spray growing crops with folia fertilizer which supplies the micronutrients which enhance resistance to diseases. Spray every two weeks. Step 5: Putting the weeds under control is the first step to guarantee success. You should ensure regular weeding. Manual weeding or the use of mulching film is recommended. Planting inside net house would also reduce incidence of weed recurrence. 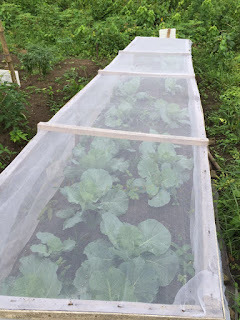 Step 6: Make sure you have good irrigation measures in place during dried season but you would not need such during wet season unless you plant in screen house. Harvesting is done when the head of each plant stand is fully formed and firm. That is around 2 months from transplanting. When harvesting, bend the plant over to one side and cut above the outer leaves using a sharp knife. A few wrapper (outer) leaves should be left around the head. Care should be taken not to split the head. A head of cabbage on the average would weight 1kg (remember the more you apply good fertilizer protocol the bigger the head), the price of this varies from one location to another and also the time of the year (determinant of availability). Nevertheless, you can do your market arithmetic with N100/head ($30). With this, you can have an idea of what you should be expecting from 2000 stands. Make sure you locate at least 5 to 10 neighborhood markets and inform them before hands what your plants are ready and supply them in turn according to the demand but also carry out market intelligence before supplying so that you won’t be short-changed by the buyers. Make sure you pack the cabbage heads in plastic containers or locally made baskets to ensure that no damage is done to the head during transit. For a small time or neighborhood farmer, it is advisable you plant in phases depending on the size of your market. For 2000 stands, you can plant in 4 phases. One phase would follow 3 weeks after another. This would ensure that you have your supply throughout the year and also that you don’t have too much than the market can purchase. IF YOU NEED SPECIFIC INFO ON THIS TOPIC, BE FREE TO CONTACT US OR LEAVE COMMENT BEHIND. PLEASE MAKE SURE YOU CLIKC VIEW WEB VERSION TO SEE ALL THE FEATURES OF OUR BLOG SITE IF YOU ARE USING MOBILE DEVICE TO BROWSE.